5 Coconut Milk Smoothie Recipes You’ll LOVE! Coconut milk isn’t a “milk” in the traditional sense. It’s what you get when coconut “meat” is blended into a liquid. As a dairy free alternative to cow’s milk, it’s perfect if you can’t drink dairy or you just want to use non-dairy liquids in your smoothies. It’s also a great option if you’re vegan or following a Paleo or plant based diet. Coconut doesn’t just give your smoothies a tasty tropical flavor. It’s also super healthy too and is a great source of B vitamins, and vitamins C and E.
Despite the saturated fat content, it’s not bad for heart health and actually has some good benefits for cholesterol. 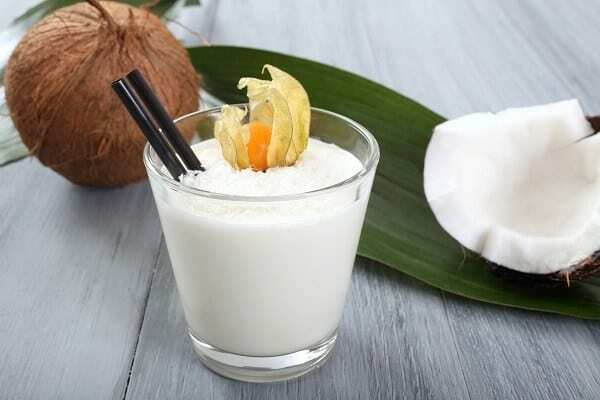 Wondering how you can use coconut milk to create delicious, healthy smoothies? We’ve got you covered! Related Reading: How to use coconut oil in smoothies. Is coconut milk high in cholesterol? Is coconut milk high in potassium? Is coconut milk high in calcium? Is coconut milk safe for babies? Is coconut milk safe to drink during pregnancy? 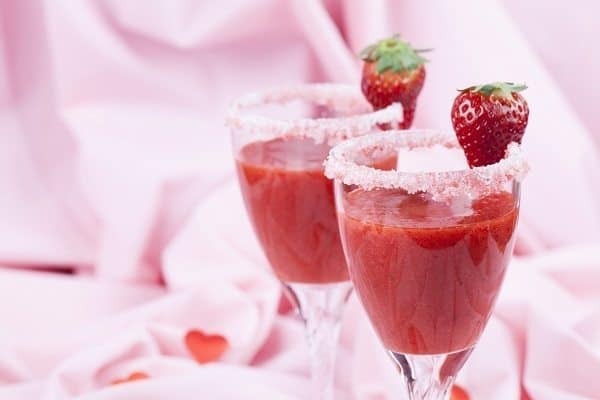 This smoothie is very simple to make as it only has three ingredients. You’ll also get a nice amount of fiber and protein to keep you full all morning so it’s a quick, healthy and filling choice of breakfast smoothie. It’s low carb and perfect for anyone who is looking for a weight loss friendly smoothie recipe. Go for unsweetened coconut milk where possible to keep the sugar content to a minimum. Hull the strawberries and chop them into pieces. Add all three ingredients to your blender and blend until smooth and creamy. Looking to really ramp up your weight loss efforts through smoothies? Coconut milk is a great choice of ingredient and with this smoothie combination, you’ll get plenty of fiber too. Peel the banana and chop it into pieces. This tropical smoothie is perfect if you’re following the paleo diet. A true Paleo diet doesn’t include banana but it’s in this recipe as a lot of people do eat it in moderation on a Paleo diet. You can choose not to use banana though if your version of the Paleo diet doesn’t include it. It uses coconut cream in place of yogurt for a super creamy consistency. It’s likely to be fairly thick as a result so you may not need to add any ice cubes as this make it even thicker. Place all of the ingredients in the blender and combine until smooth and creamy. This green smoothie has a delicious tropical flavor with the addition to coconut milk. It also makes it incredibly creamy, especially combined with yogurt and banana. Even if you don’t normally make a lot of green smoothies, you’re sure to love the taste of this one. Think of it as a super healthy green smoothie with a coconut vibe. Peel and chop the banana. Peel, core and chop up the apple. The secret weapon is this smoothie is dates, which add lots of natural sweetness from the dates and fruits. You can add more dates if you want to make it even sweeter but be aware of the sugar content. Peel and chop the banana. Pit the dates. Related Reading For You: We also have a selection of recipes with coconut water for smoothies. Hopefully these recipes have got you excited to learn more about the benefits of coconut milk and the nutrients it can add to your diet. Here are the answers to some common questions about coconut milk nutrition. Coconut milk contains quite a bit of saturated fat, which leads many people to believe that it’s bad for your heart health. It often has a reputation of being high in cholesterol but this is a myth. It actually contains no cholesterol at all! And despite the saturated fat content, it’s not all bad news for your heart. 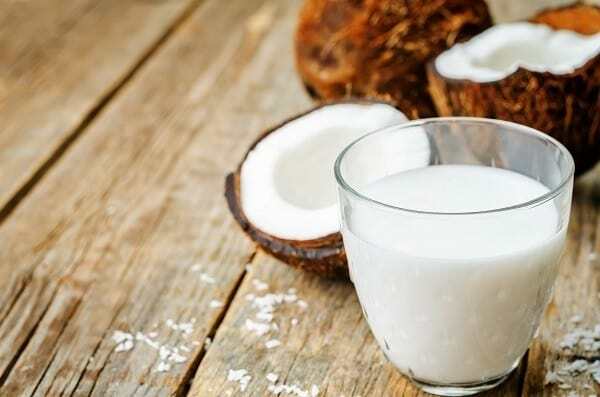 While there is some evidence that coconut milk increases your “bad” LDL cholesterol levels, that’s not necessarily the whole story as studies have also indicated that it can raise your “good” HDL cholesterols too. Most of the saturated fat is in the form of medium chain fatty acids, which can have some health benefits. The body uses lauric acid, one of these fatty acids, for energy. The recommended daily intake of potassium is around 4,700 mg. Coconut milk provides 263 mg of potassium for every 100g. This is quite high compared to the amount of potassium that you’ll find in other nut milks, with almond milk weighing in at around 67 mg of potassium per 100g and cashew milk coming in at around 44 mg per 100g . 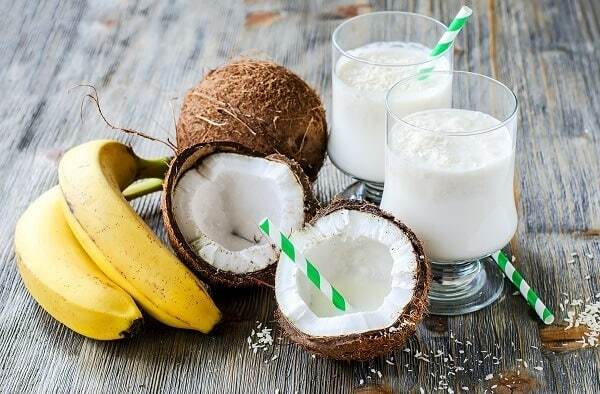 Coconut milk smoothies that also include banana, mango, coconut water, orange (or orange juice), spinach and avocado will boost your potassium intake even more and get you closer to the recommended amount. If you’re dairy intolerant or just don’t want to use dairy in your smoothies, nut milks can be an easy way to add more calcium to both your smoothies and your diet. Unless it’s fortified with calcium (and other nutrients), coconut milk isn’t the best option for this as it only offers around 16 mg of calcium per 100g and 38 mg per cup. This is quite low compared to almond milk, which has around 184 mg of calcium per cup. This means that coconut milk won’t help a lot for getting the recommended amount of calcium (1200 mg per day). 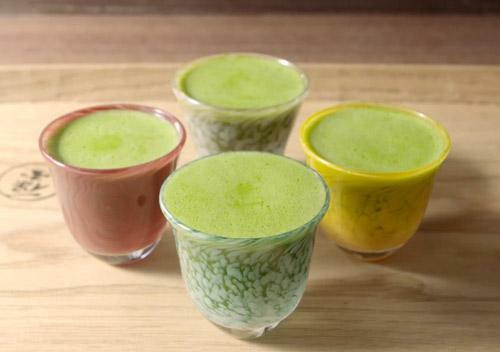 To pack more calcium into coconut milk smoothies, you can add leafy greens. Some fruits also have a little bit of calcium that can boost your intake slightly, including oranges. The American Academy of Pediatrics recommends that children can start to consume cow's milk (and other alternatives to it) from the age of 12 months. This can include coconut milk. According to the Cleveland Clinic, you should be looking to consume at least 4 servings of dairy every day while you’re pregnant. This can include non-dairy drinks such as coconut milk but preferably the fortified type to ensure that there is a reasonable amount of calcium. Coconut milk is pretty high in saturated fat, with just over 21g per 100g. That’s the main reason why the recipes in this piece don’t use as much coconut milk as you might expect. That doesn’t mean that you should definitely avoid it though as studies have shown that coconut milk can simultaneously improve HDL cholesterol levels and decrease LDL cholesterol. 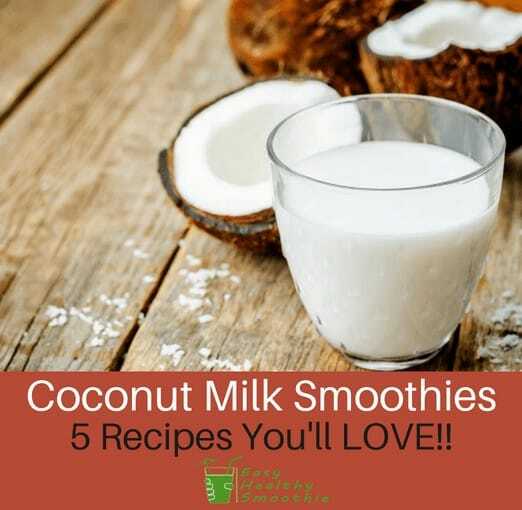 It’s probably not going to be something you’ll want to put in your smoothies every day due to the saturated fat content but in moderation, coconut milk smoothies can help to improve your cardiovascular health. As a heads up, you can get lighter coconut milk that has had some of the fat strained out. This means it has less saturated fat than full fat coconut milk. As you can see, there are lots of options when it comes to delicious and healthy coconut milk smoothies. And they’re a lot healthier than many people realize! I really hope you enjoyed reading this piece and discovering more about how you can use coconut milk in your smoothies. Which recipe will you be trying out first? As always, feel free to share this piece with your family and friends so they can find out more about the benefits of using coconut milk in their smoothies!